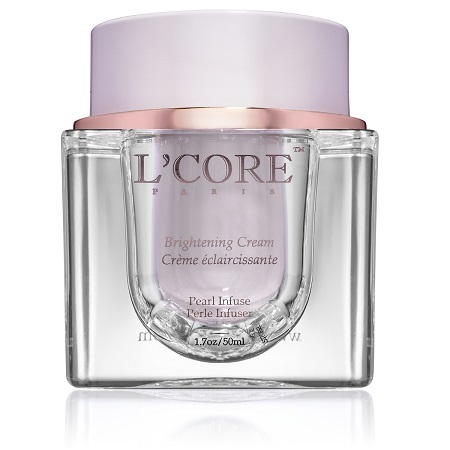 L’Core Paris’ Brightening Cream is a luxurious face cream rich in antioxidants, vitamins, minerals, and botanicals that will fight signs of aging and several other skin conditions. Get flawless and healthy skin with this ultra-luxurious face cream infused with coconut oil and hyaluronic acid. With regular usage, your skin will be replenished and deeply hydrated for a supple, smooth look and feel. Vitamin C brightens and evens out your skin tone. Coconut Oil: One of the best moisturizers, coconut oil helps restore dry skin. Unlike your average moisturizer, coconut oil helps strengthen skin tissue more deeply and eliminate dead skin cells while absorbing quickly into the skin. Safflower Oil: Improves quality and texture of skin due to abundance of linoleic acid. When combined with the sebum in human skin, this helps unclog pores and reduce rashes and acne. Also facilitates regeneration of new skin cells for younger looking skin. Hyaluronic Acid: Amazing anti-aging properties. Protects and renews skin. Ability to attract and hold vast amounts of moisture. One gram of hyaluronic acid can hold up to six liters of water. 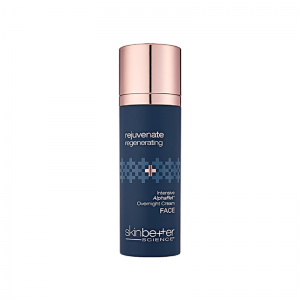 Revitalizes skin’s outer layers to make skin look and feel softer, smoother, and hydrated, instantly improving the appearance of fine lines and wrinkles. Also provides an antioxidant defense against environmental damage. Geranium Robertianum Extract: Obtained from the plant “Herb Robert,” known for its medicinal qualities. Contains essential vitamins and minerals. Helps treat a variety of skin conditions. Geranium mineral provides antioxidant properties. 30Ethyl Ascorbic Acid: Powerful Vitamin C derived agent that brightens skin. This antioxidant boosts collagen formation, brightens skin, evens out skin tone, repairs effects of UV exposure and other environmental damage. Vitamin E: Antioxidant that protects skin from free radical damage. Apply Brightening Cream to clean face and neck. 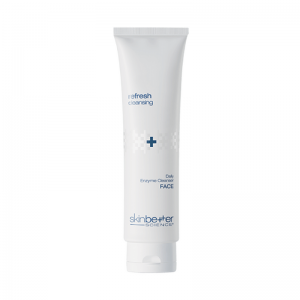 Can be used on its own or as the last step of the Brightening Treatment. Use both morning and night. Water, Cocos Nucifera (Coconut) Oil, Carthamus Tinctorius (Safflower) Seed Oil, Mica, Hydroxyethyl Acrylate/Sodium Acryloyldimethyl Taurate Copolymer, Mica, Vaccinium Myrtillus (Bilberry) Leaf Extract, Geranium Robertianum Extract, Sodium Hyaluronate, 30 Ethyl Ascorbic Acid, Benzyl Alcohol, Dehydroacetic Acid, Squalane, Polysorbate 60, Polyacrylate 13, Polyisobutene, Polysorbate 20, Tocopherol, Fragrance.